This is Part One of our exploration of Sidewalk Toronto: Read Part Two here. It’s likely that Google is a part of your everyday Internet experience; but now, its sister company Sidewalk Labs is looking to become a part of your everyday experience in cities, beginning with a waterfront experiment in Toronto. 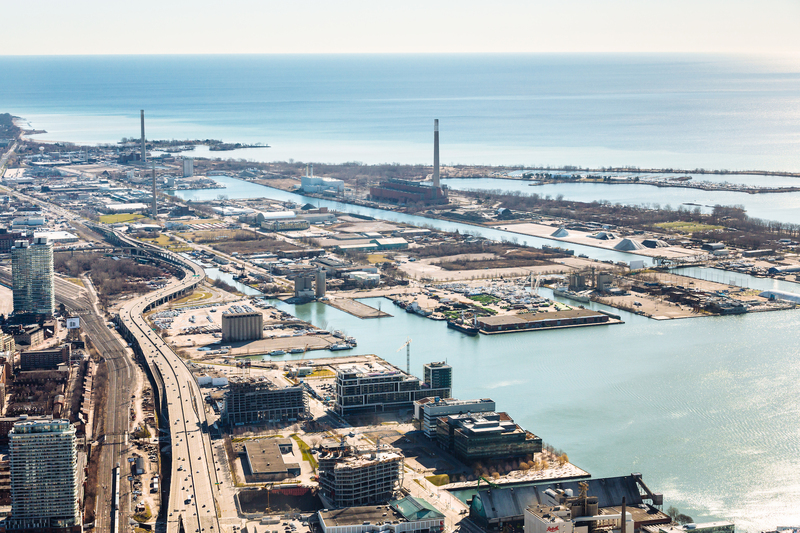 Sidewalk Labs, an Alphabet, Inc. subsidiary that focuses on testing tech-based solutions to urban challenges, has kicked off what it has dubbed a joint venture with Waterfront Toronto and the local community. Sidewalk will be deploying its “urbanists and technologists” to re-think and redevelop Toronto’s Quayside and Eastern Waterfront districts into a thriving “global hub”; a testing ground for urban innovation that has already captured the world’s attention. But Sidewalk Labs continues to reassure the public that Toronto will not become another “tech enclave.” Stressing the importance of “listening, reflecting, and creating together,” Doctoroff and Fleissig hoped to address the unease around allowing an outside tech-based company to plan a large part of Toronto. Even as Sidewalk aims to “blend people-centered urban design with cutting-edge technology,” many locals are skeptical about the Google affiliate’s entry onto the scene. There are lingering concerns that the focus of this “real-estate play” on the part of Sidewalk will focus more on innovations like autonomous vehicle testing than on the challenges already facing Toronto, such as housing inequality. Housing activists, in particular, spoke up at the community meeting, worrying about the tech giant’s entry into a city facing a housing affordability crisis. Q: What did Sidewalk learn from residents during its first community meeting? A: Frankly, there weren’t that many surprises. It certainly confirmed that affordability is the top question on people’s minds, in terms of what they want for the city going forward. A close second behind that is the concern about mobility, though I think we had fewer questions and concerns about that. I think people have a general sense that anything we do in an area so close to downtown is a contribution to the mobility challenges, even though there wasn’t enough time to spend on topics like autonomous shared-ride vehicles. So, affordability is still the top priority. Unsurprisingly, the top concern about what we are doing in the overall Sidewalk and Waterfront Toronto partnership was around privacy and what data will be collected, how that will be used, and what rules will govern it. It was helpful to have it confirmed as the top concern on people’s minds, but it wasn’t a huge surprise to us. We have a lot of thoughts about how you work on privacy, from the perspective of a company that isn’t in the traditional internet information-gathering and re-selling business. Rather, we’re thinking about how you use data quite specifically to improve an urban environment, which is not just data-gathering for the sake of data-gathering. Another takeaway was that there’s a lot of enthusiasm. What was remarkable about that crowd was that there were people from all parts of the city, not just a couple of neighborhoods that are right near the site that we’re talking about. This was a city-wide audience with a lot of young people, which is unusual for a town hall meeting like that. And finally, I’ll make the observation: Wow, Canadians really are polite. Even the most critical questions were phrased in a positive and respectful way. Q: How will this long-term project stay connected to existing and evolving local community goals? A: There will be a stream of this kind of conversation, both in a similar large format, but also in more targeted and smaller-group interactions that will happen over the course of the year. Right now, we are fleshing out exactly what that plan is going to involve, but it will be thorough. Q: What is innovative about your approach to community meetings? A: At the end of the day, it’s talking and listening. There’s nothing you can improve on, from human interaction. While I think we will be looking to digital technology for information sharing, and to an extent, information gathering, right now we know that the greater risk is not that we’re not innovative in interacting with people, but rather that we get so innovative that the people who might start out inclined to be nervous might get even more intimidated by what we’re talking about. There’s a virtue in keeping it lower tech. What we are working towards is using visualizations and modeling. Visualizations are always used in terms of renderings, but there’s clearly an opportunity to use 3D imagery or virtual reality to give people a sense of what we imagine as being possible in Toronto. On modeling, planners always use these big, sophisticated, and often clunky models. We have a team working on how you’d do much lighter-weight transportation demand and land-use modeling. There’s a big opportunity that if you can make these tools easy to use, instead of being just a professional tool for consultants, you could make them available to the public to tinker with. There’s a great example in San Francisco, which released what is, in some ways, an online game focused on how individuals would expand the transit system. It’s a game more than a tool, but it shows that if you give people the opportunity to run their own scenarios and come to their own solutions, you can change the way they think about a project, and help them feel a great deal of ownership over it. Q: What is meant by “radical flexibility” in this plan and how does it relate to housing affordability? A: One of the ways that radical flexibility makes a difference in affordability is by creating the ability for spaces to adapt to new forms or new uses in a way that’s faster and cheaper. 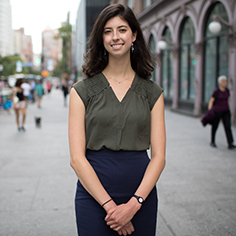 For example, in neighborhoods like in New York, there’s been a great deal of coverage about an increasing number of storefronts that are vacant across Manhattan, at the same time that we have a massive shortage of housing units. It will take a long time to convert what is now commercial to residential — there’s a big barrier to making that change. It’s far more advantageous, if you’re the owner of that space, to get another store in there, rather than doing the kind of big gut renovation needed to change the use of the building. That’s the kind of thing that creates unnecessary friction. We think that if you can design buildings that can be adapted quickly and easily, without tearing down drywall and creating a lot of waste, you can incrementally increase the housing supply and bring housing prices back into line with reality. Q: How will the big plans for transportation outlined for Sidewalk Toronto support existing modes in the city, like the Subway and its streetcar? A: Mobility is one of the areas where we have the potential to make a massive difference. It does hinge on an extension to existing modes of transit, as well as the creation of new forms of urban mobility. The fact is that none of what we hope for this site can be realized unless we get the existing transit system expanded into our site. You can’t create a successful urban neighborhood that has an entirely different transportation system. What we envision is a place where we can use both the power of overall real estate development and perhaps some innovative financing tools to work with the city, accelerating what the city already wants to do. The real opportunity for us in transit is to accelerate what they’re already trying to do. Whenever you can link a transit extension to a big real estate development, as Hudson Yards demonstrated, you have the chance to accelerate it with innovative forms of financing. Many of the City of Toronto’s plans are well-known: They’ve been thinking about extending the streetcar on Queen’s Quay eastward for several years, and that is, to my mind, the lifeline of the fight that we’re talking about. There are plans that’ve been discussed to extend the King’s Street and Cherry Street line south, which I think will be an important link for us. Finally, there’s a plan related to the regional express concept of the MetroLink commuter rail, to create a new train station where the train tracks currently go, just to the east of our site. Commuter rail access is a big opportunity for us. All three of those would be the projects I would prioritize. Q: Some urbanists have expressed doubts in the ability of a city to be simultaneously built “from the internet up,” and by its residents. How would you respond to these concerns? A: The way I think about this is that any city is fundamentally an interaction between a set of technologies, which are often embedded in the built environment, and the ways that people use them and make them their own. When we started Sidewalk Labs, one of the things we did was a long, thorough look at planned communities and “Smart City” developments, from Masdar to Reston. One of the things that stood out is that often, the criticism of these places is that they’re sterile and reflect central planning. But then, what happens is that fifty years later they feel quite genuine, because residents have had time to make them their own, to customize them, to let the patina form and take on a history and a character that reflects personalization. I think that tension is always going to be there. But, what we’re excited about is the potential to use digital technology to accelerate that. If you can figure out how to make buildings more adaptable, you can have different cycles of use that take place over shorter periods of time, giving you that genuine-ness that so many planned communities lack. Similarly, if you have retail spaces that are flexible, you can have those usage patterns customized in a way that you’re not stuck with a Starbucks, because it’s very easy for a local entrepreneur to set up a business; it doesn’t cost much to set up a new space. You can imagine a public realm that is responsive to how people use it. Taking a leaf from Holly Whyte, if you notice that people congregate in a location, an obvious thing to do is to think about turning that place into a designated plaza. Our aspiration is not only to bring people into the design of a place, but to make it a tool that people can customize. The example I come back to is the iPhone: If you have an iPhone, and I have an iPhone, even if I gave you all my passwords, mine would be fundamentally less useful to you than yours, even though the day we bought them, they were identical, mass-produced items. They are designed so you can customize them to make them your own. I think that we want to think about the city in a very similar way. Q: How is Sidewalk Toronto going to increase human scale relationships between people and place? A: One of our ideas that I’m particularly excited about is digital wayfinding. Cities all over the world have invested in wayfinding systems because, as we all know, if you can make the city legible and intuitive so that people know where they’re going and don’t feel lost, they use the space better and feel more comfortable there. I think that there’s an opportunity for digital technology in that area, like in signage that, instead of always pointing the same way between destinations, changes based on the time of day. We know that what people are looking for first thing in the morning is very different from where they’re likely headed to on a Saturday afternoon. Maybe this could even take into account what people share based on Google searches or Google Maps directions. We could help a person find the way that they’re going without looking at their phone, somehow anonymizing information and displaying their destination on a screen. You can preserve anonymity even while you’re providing highly personalized information. That’s just one way that I think you can have a place that feels really personal, using that kind of digital technology. Q: How is this project's use of experimental and new technology planning for and tracking externalities that might lead to new problems? A: Almost by definition, externalities are difficult to figure out in advance. A lot of what we are going to do is in the category of just testing things — we’re going to be piloting things well in advance of full-scale rollouts. We’re hopeful that we’ll be doing some experiments in Toronto, in part to see how people respond to things and in part to generate excitement, but also to make sure that we’re thinking about all the potential effects. Q: What would you want to let the placemaking community know about this project? A: I hope that both in its design and process, that this becomes one of the premiere public spaces in cities around the world. Frankly, I’d be thrilled if people who read the PPS blog gave their ideas, because the idea is that it’s not limited to people in Toronto, it really is about getting great ideas from around the world. When it’s built, our hope is that this becomes a place where, if you have a new idea you want to test in the public realm of a great city, Toronto is the place you come because of the rules on open data and information-gathering. We hope that this is where you could do that testing most easily. What do you think placemaking leadership would look like in Toronto? There’s more to come on this topic in coming weeks — submit your ideas, questions, and concerns in the comment section below, and they’ll be incorporated into PPS’s coverage!